Big Brother Gossip: HoH Results, Nominations, Roadkill winner and 3rd nom. HoH Results, Nominations, Roadkill winner and 3rd nom. Here are the bullet points you need to get caught up on Big Brother 18 since Thursday nights episode. Frank's team won the HoH competition and Paulie was made HoH. That means Frank, Bridgette and Michelle are safe this week from nomination. Apparently James was very obvious about throwing the competition to assure that Victor was not safe. On Friday Paulie nominated Paul and Bronte. The actual target is Victor and they want to try the good ole 'backdoor' on Victor by keeping him from playing for the Power of Veto. Friday afternoon they spent several hours playing the Roadkill competition. Numbers and math and possibly calculating dollar totals were involved, some house guests were rumored to have thrown the competition (WHY?????) and in the end it appears Victor won even though the winner is supposed to remain secret. We know Victor won because he told Frank and others who in turn filled everyone else in. Interestingly - the Have Nots have yet to be named. Is this because Big Brother wants to spare them the Bumper Car beds that we hear are painful to sleep in? James expected to be made a Have Not so that Victor would be 'weak' in case he got to play for the POV but now it appears the Have Nots will not be named until after the POV competition. We now wait for that Power of Veto competition to be held, it should be today (Saturday). Again the plan by Paulie and his alliance (he's on the fringe of the 8-pack) is to not let Victor play and then nominate him when the POV is used by whomever does win it - and Tiffany may throw the competition to keep Victor from being able to replace her and also be safe in the process. As a side note - the Big Brother Gossip Show will be live TOMORROW, Sunday. We have a tentative time of 4pm Eastern (1pm Pacific / BBT) but you should check our twitter accounts and bigbrotherpodcast.com to be sure as it may be a little earlier or later. We are also working to bring you some kind of 'special' show tonight - but no promises yet! 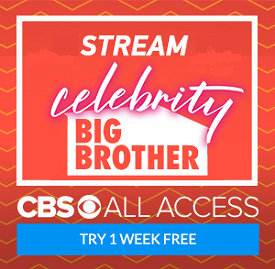 Remember to sign up for the live feeds through links here or at colettelala.com and also please look into becoming a Patron of our podcast if you aren't one already by visiting our Patreon Page here.